As the rescue efforts continue, Zimbabweans have come together to mobilise aid for Idai victims. The official death toll from Cyclone Idai has hit 139 in Zimbabwe, with fears that the figure could rise, as close to 200 people remain unaccounted for and over 100 are still marooned in the country’s two worst affected districts, Chipinge and Chimanimani. 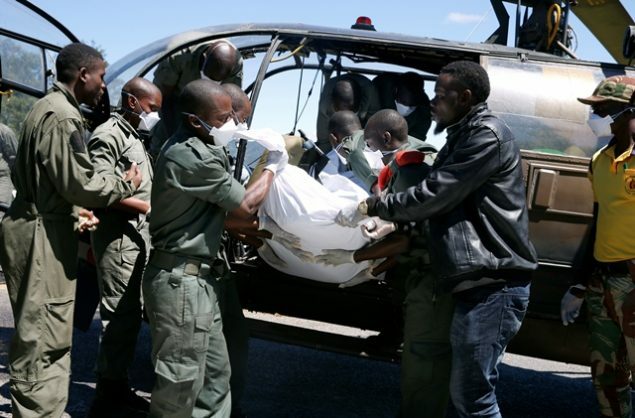 According to official figures released by the information, media and broadcasting services ministry on Thursday afternoon, Chimanimani recorded the highest number of deaths, which stand at 127, while Chipinge recorded six. One hundred and eighty-seven are reported missing in Chimanimani and two in Chipinge, while the number of those who remain marooned stands at 136 and three respectively. Idai, which formed over the Mozambique Channel before moving inland via Beira on Thursday last week, has sparked a serious humanitarian crisis, as 4 313 people have been displaced, according to the ministry. Chimanimani, being the hardest hit, has the highest number of displacements followed by Makoni, Buhera, Mutare rural, Mutasa and Mutare urban. Three thousand and eighty-five people were displaced in Chimanimani’s ward 15, while 600, 529, 63, 45 and 31 were displaced in Makoni, Buhera, Mutare rural, Mutasa and Mutare urban respectively. Local government and national housing minister July Moyo, who heads the inter-ministerial task force on Idai, told the media after Tuesday’s cabinet briefing that there are fears that the total number of dead could rise. “There are reports that bodies believed to be from Zimbabwe have been seen floating in Mozambique,” he said. “Some have floated all the way into Mozambique and some of the peasants in that country were calling some of our people saying ‘we see bodies, we believe those bodies are coming from Zimbabwe’”. President Emmerson Mnangagwa on Wednesday visited the victims and said it was impossible for aid to reach the affected because of the massive destruction of the provincial road network. “The cyclone destroyed roads in this area and this means that aid can only come through using helicopters, but we have not been able to do so because of the weather,” he said while addressing victims at a safe house in Chimanimani. Of the deceased, 74 people have already been buried. Due to the inaccessibility of the area, locals had to use makeshift coffins as they laid to rest their loved ones. However, Zimbabwe’s leading funeral insurance companies – Doves and Nyaradzo Funeral Services – have since chipped in to offer decent burials for the dead. Across the border in Mozambique, according to the Red Cross, the cyclone destroyed 90% of the fourth-largest city, Beira, and submerged villages after the Pungue and Buzi rivers overflowed.